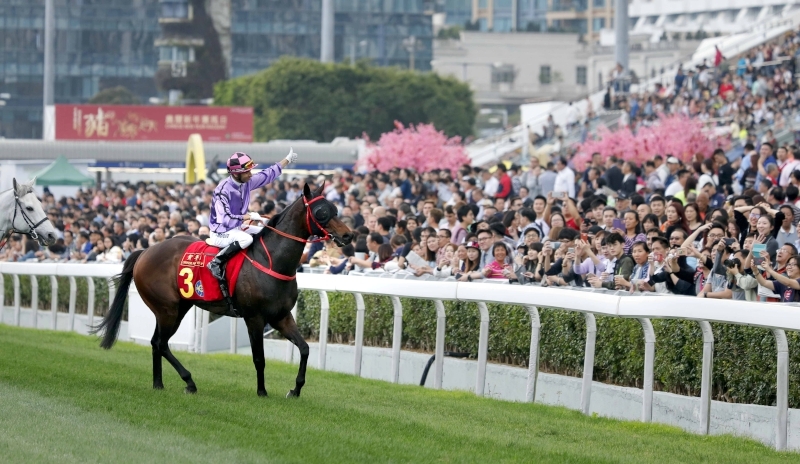 Joao Moreira celebrates with the crowd after the Chinese New Year Cup. 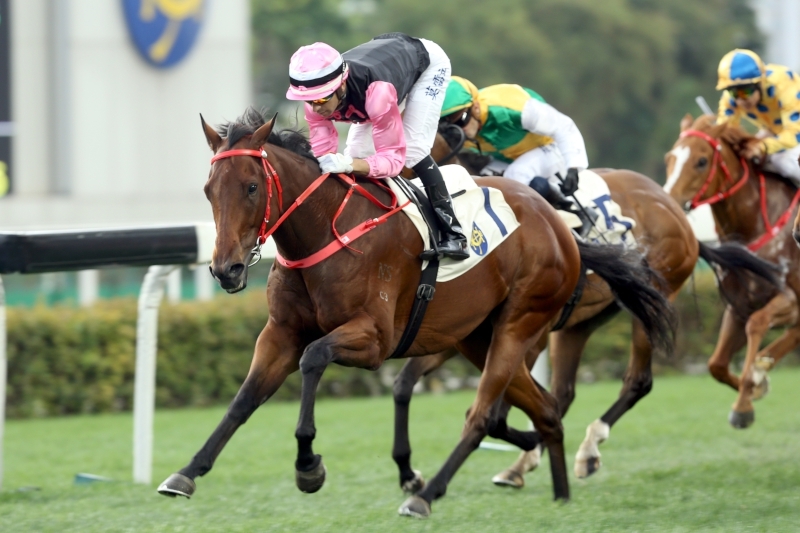 What Else But You wins the Chinese New Year Cup. Full Of Beauty impresses under Joao Moreira. 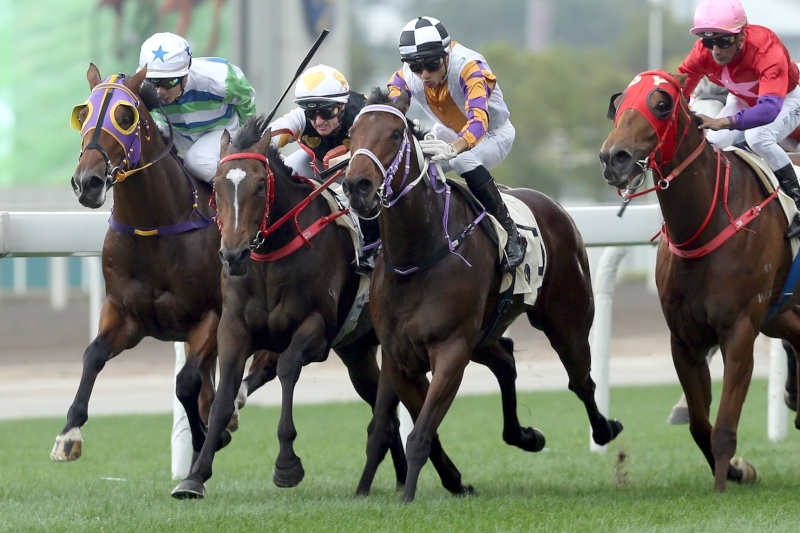 Zac Purton drives Solar Wai Wai (white cap, red bridle) to victory.